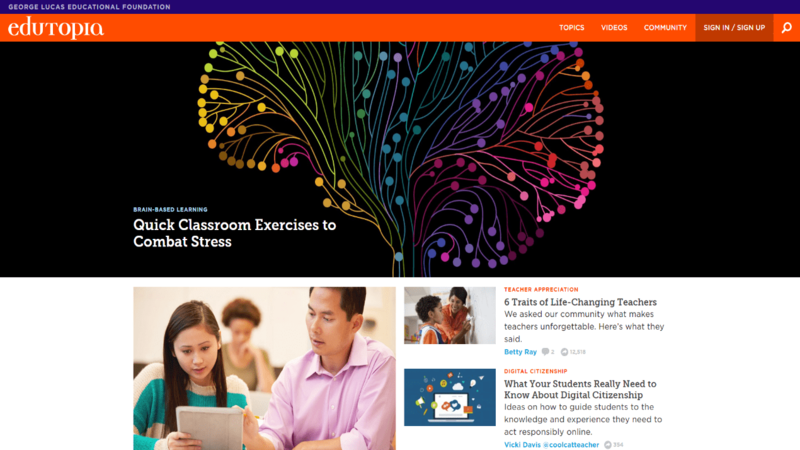 One of the hidden talents of start.me is our knowledge of useful websites, for example in the field of Education. With no less than 650.000 active users and over 30 million visits a month, this comes as no surprise. Our users point us to sites you may have missed. Find them all at our section aptly called ‘Discover‘. Sal Khan in 2011 on a Ted Conference, talking about education. 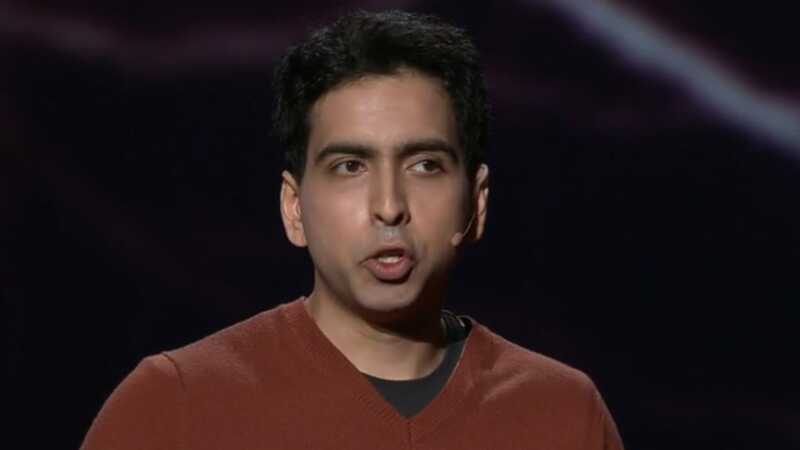 The founder of this website, Sal Khan, started out helping his cousins with some simple low-res Math tutorials on Youtube. 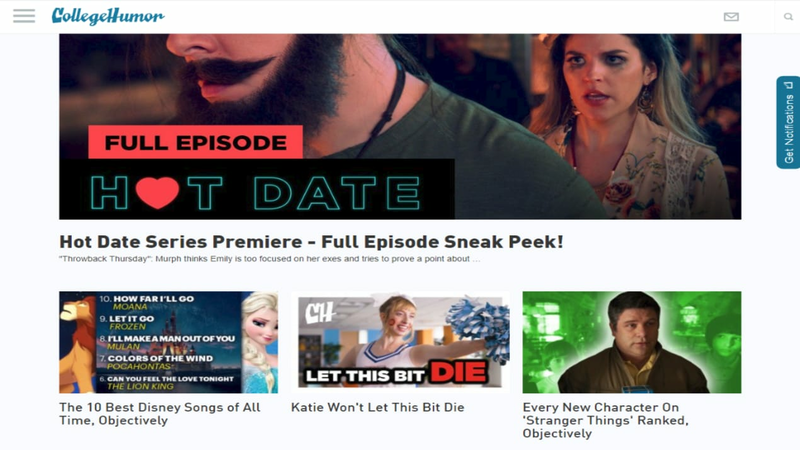 After much media attention and support from people like Bill Gates, his initiative has ballooned into a free online platform where you can learn more than just a simple 1 + 1. It boasts no less than 6500 videos about the sciences, but also about world history and other subjects. His aim is not to replace regular teachers, but to supplement their efforts with a bit of technology. If you want to see the man in action, check out his performance at a TED conference. It might just be inspiring! 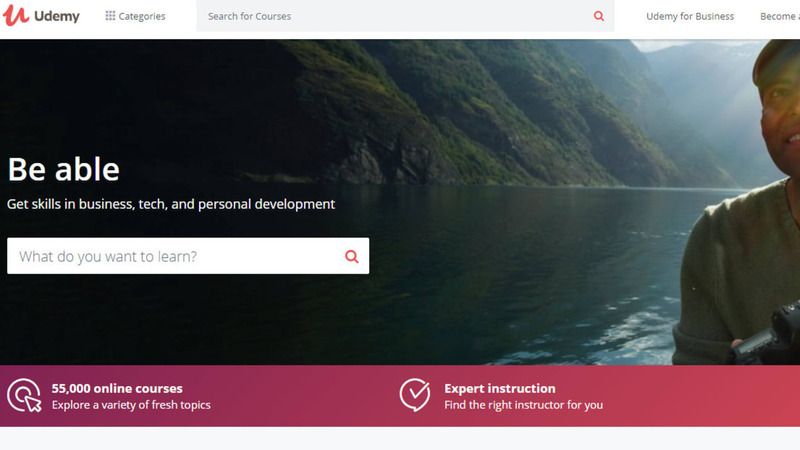 Quite another approach to online learning is the paid marketplace Udemy. Here it’s not just one man who doodles away on Youtube videos, but a real plethora of teachers and courses in just about any subject imaginable. Just look for the right offer, pay up and watch on-demand video, download course material and learn. And if you decide you can call yourself a teacher, you can simply write your own course and start earning some extra money. If you’re looking for a more literary source of information, you can forget about Kahn Academy or Udemy. They’re just not into that. 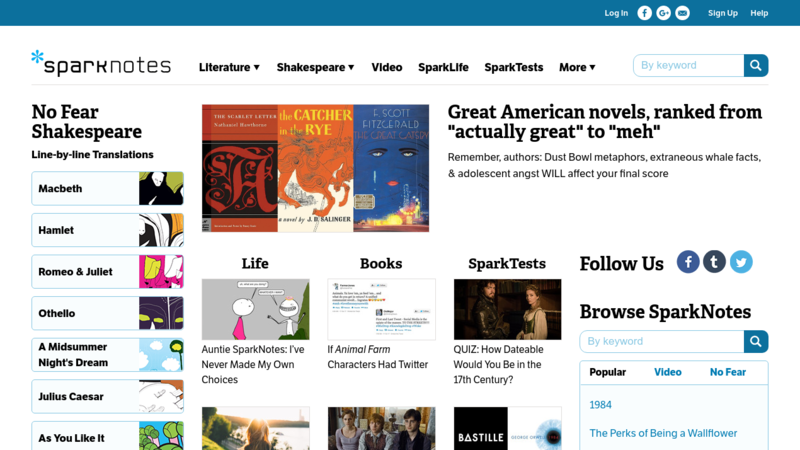 But SparkNotes is. Originally founded by four Harvard students, it’s all about literature, poetry, film, and philosophy. Here you don’t even have to read the book in order to be able to talk about it: you just read their study guides. And flunk, of course. Because nothing beats reading the original text. Anyone in the field of education, especially a teacher, needs an occasional relief. A shoulder to cry on. An inspirational thought to make it through the week. At Edutopia, founded by the filmmaker George Lucas, you will find just this. Exercises to combat stress. Digital citizenship to empower our youth. Hints about Project Based Learning (‘Don’t go crazy’!). If you’re tired of reading, just click on the videos. Even if you’re into computer games to relax, you will find pointers here. And no, this doesn’t mean you get to play Minecraft all day. Still, Gamifying to Meet the Needs of All Learners sounds inspirational enough. If teachers need some inspiration now and then, this also goes for students. Perhaps even more so, when you’ve finally reached College or University. In comes CollegeHumor: a good-natured site, full of pleasant jokes and quotes. A smile on your face, as you scroll through the 10 best Disney Songs or some comics about relationships. It might just refuel your tired brain, weary from too much useful knowledge. This concludes our list of 5 great sites for everyone who loves their education. What sites keep you inspired? Where do you look for new information and online courses? What are your favorites? Do let us know in the comments below! Where do you look for new information and online courses? What are your favorites? Do let us know in the comments below! This Very good and attractive Article with very good list of website keep it up and Thank you for the share..